European Union officials should convey serious concerns about Ethiopian security forces' use of excessive lethal force against protesters when meeting with Ethiopia's foreign minister, Human Rights Watch said today. 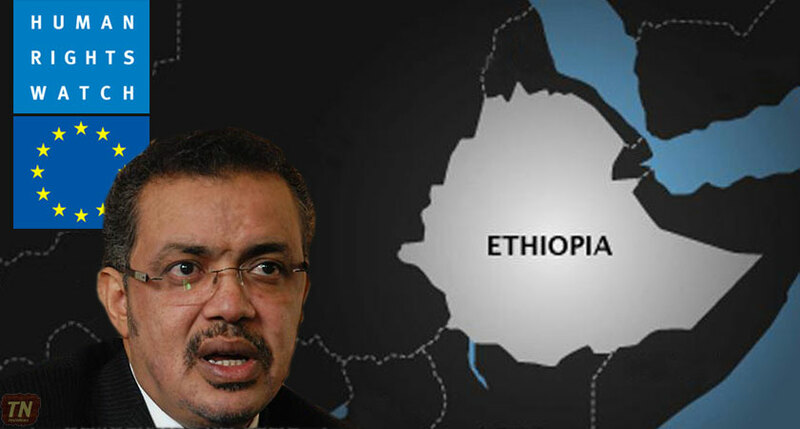 The foreign minister, Dr. Tedros Adhanom, will meet with EU officials on January 12 and13, 2016, in Brussels. Ethiopian security forces have engaged in a violent crackdown against protesters in Ethiopia's Oromia region, killing scores of protesters and arresting many others. The protests began in mid-November 2015, in response to plans to expand the capital, Addis Ababa, into Oromia farmland, but have expanded in response to other longstanding concerns as well as the crackdown on protesters. "The European Union should break its silence and condemn Ethiopia's brutal use of force to quell the Oromo protests," said Lotte Leicht, EU advocacy director at Human Rights Watch. "The EU, which is among Ethiopia's biggest donors, should press the Ethiopian government to respond with talks rather than gunfire to the protesters' grievances." The Ethiopian government has frequently used arbitrary arrests and politically motivated prosecutions to silence journalists, bloggers, protesters, and political opponents.